A CHRISTMAS TALE FROM TUSCANY | Marbella Marbella – Adelante! The plane landed with a soft bump at Pisa airport. I disembarked and was met by a tall blond Italian friend by the name of Giovanni. His good looks, striking blue eyes and tall posture, reminded me more of an upstanding German officer, than the traditional stereotype view of an Italian. He greeted me warmly confirming the various holiday arrangements he had made for my Christmas break in Tuscany. Once settled in his Alfa Romeo, with typical Italian verve, we sped rapidly out of the airport, passing the famous leaning tower and its cathedral, and headed, via an excellent motorway, into the open country, towards our final destination the popular ski-resort of Abetone, situated high in the snow- capped Apennines. To reach the resort we had to traverse through the wonderful rocky countryside of Garfagnana. 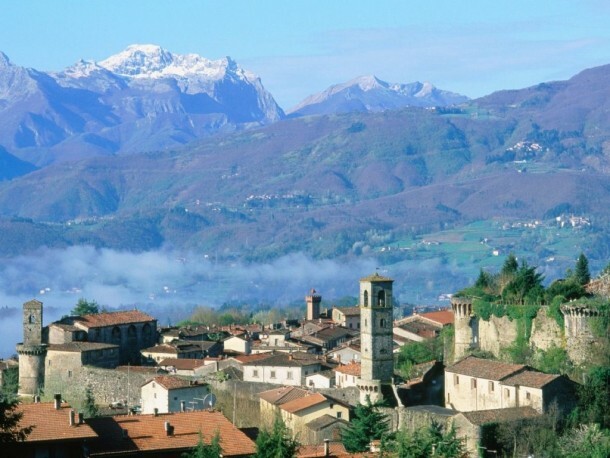 Crossed by the river Serchio, Garfagnana stretches out amongst rugged hills and richly wooded valleys. 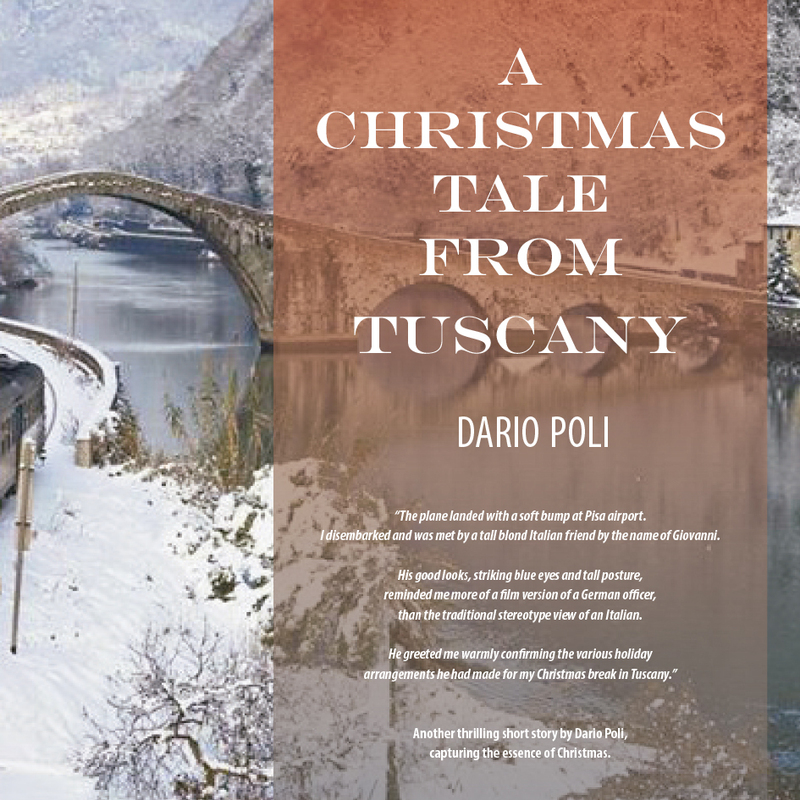 Though I was familiar with this region of Tuscany, Giovanni opened my eyes to the many varied local Christmas traditions, whilst driving at enormous speed, one hand casually on the steering wheel, the other, pointing out places of special historical interest to his petrified passenger. He navigated the car with consummate skill, racing along the much narrower winding roads as we headed towards Upper Garfagnana and the dramatic snow-capped peaks of the Apuane Alps, alluringly visible in the distance. Near Borgo Mozzano, we saw the spectacular Maddalena Bridge known as the Devil’s bridge because of its peculiar arch shape. In the middle valley of the river Serchio, nature offered us a superb show, as the road runs along the river for awhile amongst chestnut groves and lush green valleys which abound, even in winter. We stopped for an expresso, at Bagni di Lucca, a secluded paradise surrounded by hills and woods known as the “Land of princes and poets,” due to its popularity with local and foreign poets. Including Byron, Lamartine, Heine and Shelly who came for inspiration and to enjoy the thermal-waters in well run “health giving” establishments. Re-invigorated by the coffee, it was time to move on. Giovanni was determined to reach the ancient fortress town of Castelnouvo by the afternoon. Passing through many picturesque villages, I was finally deposited at a small hotel in the town and my dashing driver left me, with instructions to be ready for collection early next morning, which was Christmas Eve. Giovanni arrived on the dot, and took me on a winding drive up the mountain and after one hour, he stopped at a lake, then led me on a hike up a steep hill towards a small unnamed hamlet of about 40 houses, perched like an eagles nest on a plateau high above us. It was built in Roman times and was occupied by poor farmers until 1950, when they abandoned their homes, in the Italian exodus to find prosperity in the United States. Now all were empty. Locked and preserved in a time capsule undisturbed by the touch of man. beeline rapidly towards us, their intentions unmistakably hostile. Just before impact they were stopped in their tracks by a piercing whistle. There stood the figure of Silvio, our saviour. Giovanni’s childhood friend was solidly impressive in a rough checked shirt and a rope holding up his corduroy trousers and wearing thick boots. Of medium height, he had fair wavy hair, ruddy complexion and steely grey penetrating eyes. His handshake, firm but gentle, was his calling card. I sensed immediately that this was a man in every sense of the word. Built by nature, blessed with an abundance of good health. Wiry and physically strong, a morally incorruptible individual, with genuine spirituality exuding from every pore in his body. He grabbed the ropes, held and restrained the two excited mules. One particularly aggressive mule with his eyes on me, clearly intended to kick my backside as hard as he could, turning and twisting in every way, to deliver the blow. With Silvio still firmly holding them, they finally calmed down and he amiably conversed, with us about the old times and mutual friends. 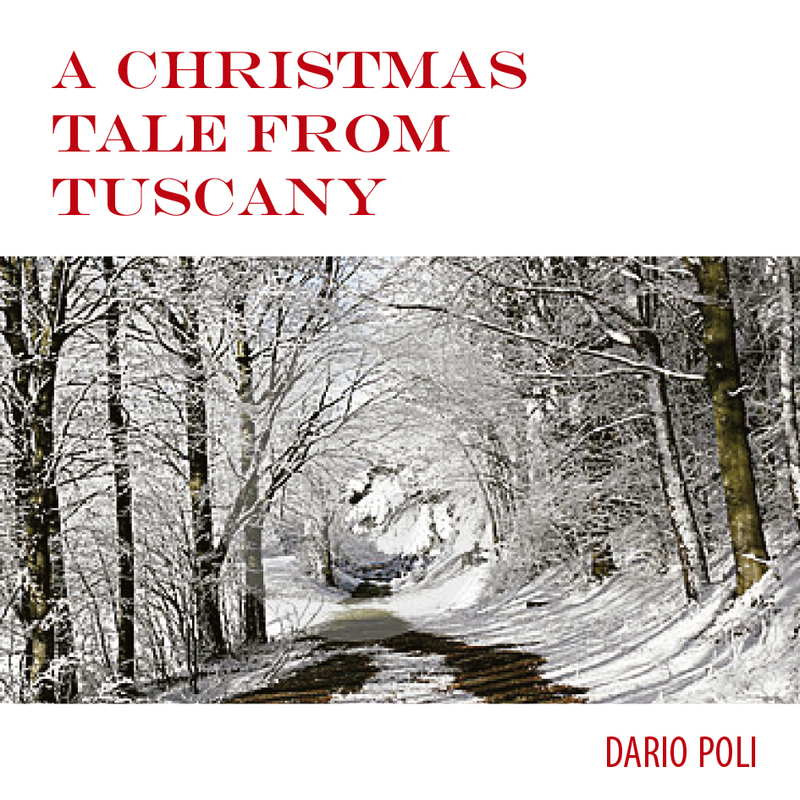 I asked him about local Christmas customs, and he told me about the little town of Castiglione, where at twilight, a man whose identity is known only to the priest, enters the vestry and is closed inside the wardrobe. After mass, the congregation leaves the church in procession and find the penitent (the same man who had been closed in the wardrobe) at the door dressed like Jesus Christ. The man leads the procession through the streets of the village wearing a hood to prevent anyone from recognizing him and carrying a cross. At the end of the procession the penitent is closed again inside the wardrobe and emerges unseen only late at night. He invited us to enter the ninth century Church, of which he was the keeper. He released the mules and drove them away from the nervous visitors, then with a large metal key unlocked and pushed open wide the huge creaking doors. Once inside, I was met with the pungent smell of incense and as my eyes gradually became accustomed to the darkness, I was able to pick out a white marble altar directly in front of me fully prepared for a Christmas Mass. The interior had been left exactly as it was, as the final celebration of Christmas. Giovanni and Silvio standing silently beside the crib, made the sign of the cross and prayed, whilst I leaned against a pillar, observing the unusual scene with interest. The silence was broken by the echoing sound of hooves clip clopping on the stone floor. The two mules, followed by Silvio’s brown hunting dog, entered the church and calmly ambled down the isle, then stood silently and respectfully in front of the crib. The men deep in their meditations were not at all disturbed by the arrival of worshipers from the animal kingdom. The touching and quite amazing scene of two men, two mules, and a dog, gazing silently and reverently in homage at the crib, appeared to be the most natural occurrence in the world. Had I not seen this event with my own eyes, I would never have given this story any credence. Leaving the church Giovanni and I said our good-byes and in silence turned towards the path, engrossed in our own private thoughts. Before descending, I turned and saw Silvio; his dog and the two mules, watching us depart framed by the magnificent mountains behind them. Mentally thanking each one of them, for sharing with me, a little of their living time and giving me a rare glimpse of innocence. I waved to them with a lump in my throat, sadly knowing that I would never see them again. The fascinating imagery of that special Christmas Eve holiday will be forever indelibly engraved in my memory and my heart.